Ray Oldenburg is an urban sociologist who writes about the importance of informal public gathering places. In his book The Great Good Place (1991), Oldenburg demonstrates how and why these places are essential to community and public life, arguing that bars, coffee shops, general stores, and other "third places" are central to local democracy and community vitality. In exploring how these places work and the various roles they serve, Oldenburg offers Placemaking tools and insight that can be useful to individuals and communities everywhere. 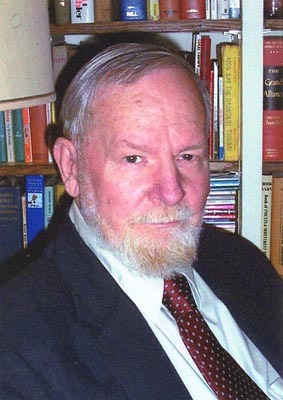 With a Bachelors degree in English and Social Studies from Minnesota's Mankato State University, and a Masters and PhD in Sociology from the University of Minnesota, Ray Oldenburg is currently Professor Emeritus in the Department of Sociology at the University of West Florida in Pensacola. He also works as a consultant to entrepreneurs, community and urban planners, churches, and others seeking to create quality places within their communities. Third Places. Throughout his work, and particularly in his book Celebrating The Third Place (2000), Oldenburg identifies "third places" as the public places on neutral ground where people can gather and interact. In contrast to first places (home) and second places (work), third places allow people to put aside their concerns and simply enjoy the company and conversation around them. Third places "host the regular, voluntary, informal, and happily anticipated gatherings of individuals beyond the realms of home and work." Oldenburg explains that beer gardens, main streets, pubs, cafés, coffeehouses, post offices, and other third places are the heart of a community's social vitality. Providing the foundation for a functioning democracy, these spaces promote social equity by leveling the status of guests, providing a setting for grassroots politics, creating habits of public association, and offering psychological support to individuals and communities. "In the absence of informal public life, living becomes more expensive. Where the means and facilities for relaxation and leisure are not publicly shared, they become the objects of private ownership and consumption." "What suburbia cries for are the means for people to gather easily, inexpensively, regularly, and pleasurably -- a 'place on the corner,' real life alternatives to television, easy escapes from the cabin fever of marriage and family life that do not necessitate getting into an automobile." "The character of a third place is determined most of all by its regular clientele and is marked by a playful mood, which contrasts with people's more serious involvement in other spheres. Though a radically different kind of setting for a home, the third place is remarkably similar to a good home in the psychological comfort and support that it extends...They are the heart of a community's social vitality, the grassroots of democracy, but sadly, they constitute a diminishing aspect of the American social landscape." "Life without community has produced, for many, a life style consisting mainly of a home-to-work-and-back-again shuttle. Social well-being and psychological health depend upon community. It is no coincidence that the 'helping professions' became a major industry in the United States as suburban planning helped destroy local public life and the community support it once lent." "Totally unlike Main Street, the shopping mall is populated by strangers. As people circulate about in the constant, monotonous flow of mall pedestrian traffic, their eyes do not cast about for familiar faces, for the chance of seeing one is small. That is not part of what one expects there. The reason is simple. The mall is centrally located to serve the multitudes from a number of outlying developments within its region. There is little acquaintance between these developments and not much more within them. Most of them lack focal points or core settings and, as a result, people are not widely known to one another, even in their own neighborhoods, and their neighborhood is only a minority portion of the mall's clientele."